The Integrated Marketing Communication Conference, otherwise known as the IMC Conference, is a biennial international conference of IMC academics and professionals hosted by the UNCW Department of Communication Studies. 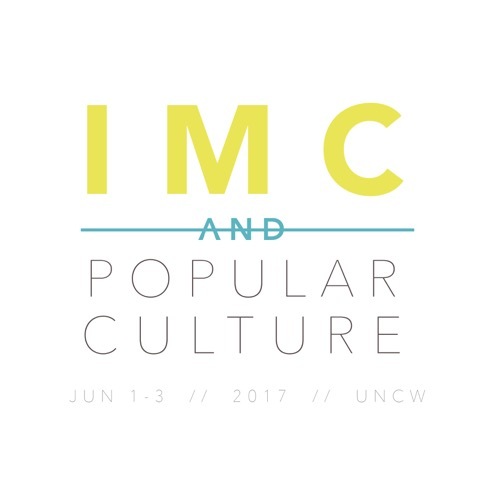 The upcoming conference, hosted from June 1-3 of 2017, will focus on how IMC, as grounded in the communication discipline, provides frameworks and opportunities for engaging popular culture. Pier601 students have designed the logo, website and print materials for the conference and spearhead event planning. The students were given full creative liberty and used this logo as a way to apply their learning. They were inspired by UNCW’s colors and incorporated them into the design. They also used clean lines to enhance readability and to give a more modern look.